How to Meet Your 2014 Financial Goals (Part 2) - Castle Rock Bankruptcy Attorney - Jon B. Clarke, P.C. To meet your 2014 financial goals, set yourself up for success by regularly checking your credit report and avoiding new credit offers that may seem too good to be true. Picking up from How to Meet Your 2014 Financial Goals (Part 1), here are some more powerful strategies that can be effective in helping you achieving your financial goals this year. 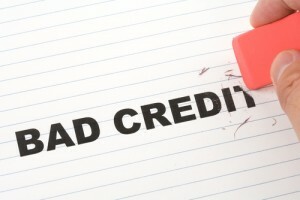 Be religious about checking your credit report – One thing that could immediately derail you from being able to achieve your financial goals in 2014 is mistakes on your credit report, which could negatively impact your credit score and/or may indicate that you have been the victim of identity theft. If you are diligent about thoroughly checking your credit report every six months to a year, you will be able to catch such mistakes before they get out of control and have potentially longer-term crippling effects on your financial standing. Some of the specific things that you should look out for include debt that you did not acquire, debt that should no longer be listed on the credit report (because it’s been paid off or has been discharged through bankruptcy) and debt that is listed for more than you in fact owe to a specific creditor. Avoid offers that may seem “too good to be true” – Cash back and other reward offers on credit cards may tempt you to open up another line of credit; similarly, offers for payday loans or other lines of credit may seem appealing on the surface. However, many of these offers that dangle a carrot of so-called rewards or other benefits often come with the stick of high interest rates, which can quickly snowball your debt and get you in trouble. A good rule to live by is that you should not take out a new line of credit or a loan if you do not need it or if you can find another way to get by financially. Get help when you need it – One of the biggest mistakes that debtors make when it comes to their finances is trying to fix their debt themselves when it’s clear that they are in over their heads. In general, forgoing help can only cause serious debt problems to be compounded. Therefore, it’s a good idea for those who are in debt to talk with experienced professionals and get the help they may need when they are not seeing any progress in their financial standing.